The EU's chief Brexit negotiator Michel Barnier said on Monday night negotiations with the UK will continue in the "coming days" - but warned earlier that on the British side "something has to give". Barnier met with the UK's Brexit minister Steve Barclay on Monday evening in Brussels at the British ambassador's residence for discussions on the Brexit deal. 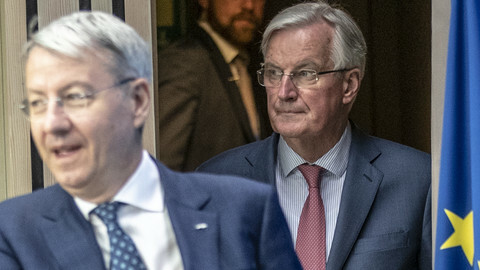 After the meeting, Barnier told Sky News that they will continue their discussions in the coming days, but he reiterated that the EU will not renegotiate the deal clinched last November. "We aren't going to reopen the withdrawal agreement," Barnier said after the meeting, which was described by a UK spokesman as "constructive". The Brexit deal, and the accompanying political declaration on the future relationship between the EU and the UK, was overwhelmingly rejected by the UK parliament last month, by some 230 votes. British prime minister Theresa May hopes to secure changes to the withdrawal agreement, particularly on the so-called backstop aimed to maintain an open border on the island of Ireland, to gain enough backing in parliament for the deal to pass by MPs. Barclay on Monday evening had been expected to argue for unspecified "alternative arrangements", a time limit to the backstop, or a unilateral exit clause from the backstop, which keeps the UK aligned with the EU's customs union. 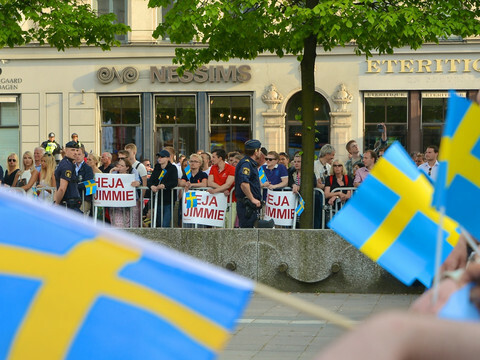 All which had been previously discussed and dismissed by negotiators. May is to address British lawmakers on Tuesday, one day ahead of when she was expected to report back to MPs on the progress of the talks, and any alternative plans. She will urge MPs to "hold our nerve" to get the changes to the Brexit deal. 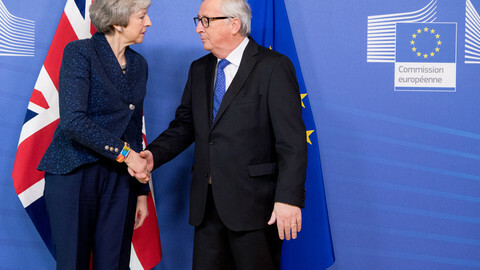 However, the EU has repeatedly said the withdrawal agreement, sealed by the EU-27 leaders after 18 months of negotiations between the UK and the EU, is not going to be reopened. Top EU officials suggested one way out of the impasse could be for the UK to remain in the customs union, an idea put forward by opposition Labour leader Jeremy Corbyn in a letter to May last Wednesday in exchange for Labour votes for the deal. 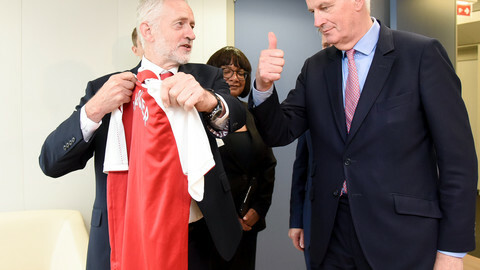 "I found Corbyn's letter interesting in tone and in content," Barnier said earlier in the day in Luxembourg. "Something has to give on the British side," he added. EU officials warn that a failure to agree on a withdrawal agreement will complicate any discussion on the future relationship. They want the UK to move its red lines to secure a deal. 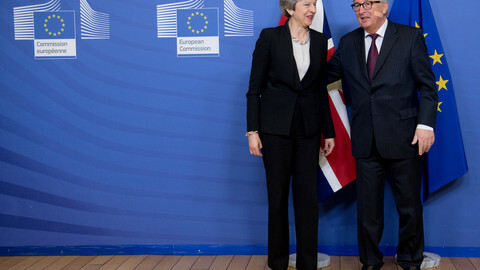 The EU is reluctant to make any gestures towards the UK on the backstop, not only because of maintaining peace in Northern Ireland and preventing a backdoor into the EU's single market, but also because the bloc is not convinced that any EU concession would be enough for May get a majority she needs. "Today the response of the Brexiteers is non, non, non et non. 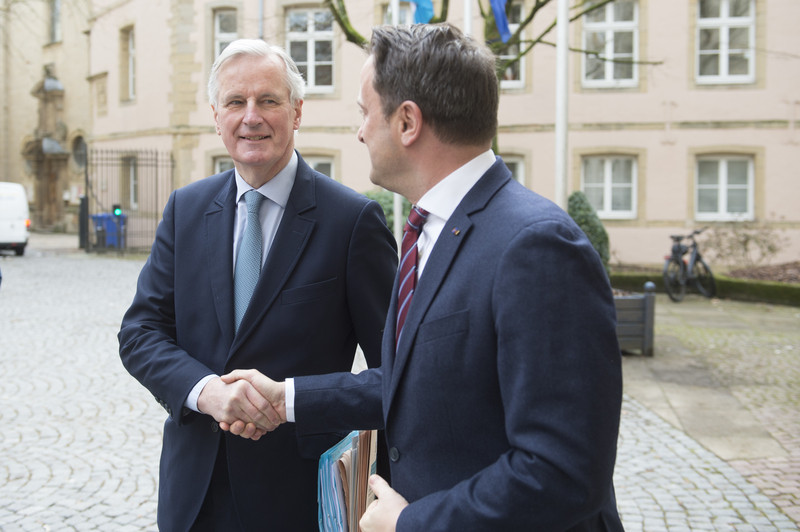 But they haven't actually proposed any alternatives," Luxembourg premier Xavier Bettel told reports after meeting Barnier. On Sunday, May in a letter ruled out Corbyn's offer to have Britain remain in the single customs area. "We are absolutely clear on this: we're not considering Jeremy Corbyn's customs proposals, we're not considering any proposals to remain in the customs union. We must have our own, independent trade policy," May's spokesman said on Monday. "This time that remains is extremely short," he added. Meanwhile, Barclay is set to meet MEPs in Strasbourg on Tuesday, with only 45 days left until the UK leaves the bloc. 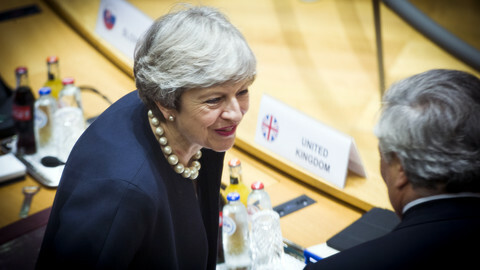 The EU council president who, a day earlier said there was a "place in hell" for Brexiteers without a plan, told May that Britain's opposition leader could hold the key to the Brexit deal. 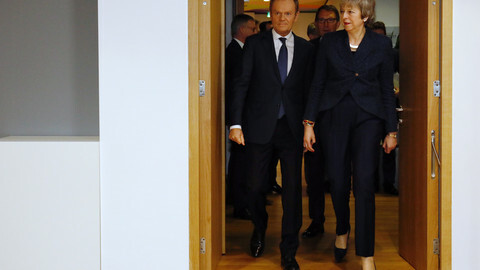 Brexit talks will continue in Brussels, as UK PM Theresa May's government is trying to find a way out of the political impasse at home. Murdered Saudi journalist Jamal Khashoggi's fiancee will speak at the European Parliament next week.